Baby food gardens – sounds refreshingly good, right? Read on! Being a parent is one of life’s most rewarding jobs, and expensive. The cost of living has never been so high and how on earth are you meant to stay on your budget when it comes to feeding your little critters mouths? Every Australian household is open to saving a dollar here and there, and with the constant price risers of almost everything it’s becoming really hard to get ahead, especially when skipping meals is just not possible, especially for the little ones. Pre-made baby food from your local supermarket can seem convenient and easy whilst on the go though, believe it or not it’s actually eating away at your pockets without you even realising. So why constantly dash down to the supermarket to buy a pack full or preservatives when we can have it fresh whenever we want? If you live in a household where everyone likes to eat, eat, eat, plant expert and founder of Beyond Sunflowers – Gisele Zanier has put together her top tips on why and what you need to be growing in your baby food garden. The health benefits: fresh or processed? I think this term pretty much speaks for itself. While pack baby food is super easy, especially when on the go, what are you really serving your baby and have you ever looked at the pack? Think natural, if you pick an apple there is only a certain life span before its had its day and that’s the exact type of food you should be feeding your baby. Cupboard life spans for baby food can last over a year and with all those preservatives that’s just nasty. Growing fresh produce is excellent for cutting out all the unnecessary add ons – and once you have prepped, you can store it in the freezer for a few months too, and of course without the additives. Homemade baby food can be just as easy and convenient as the pack. 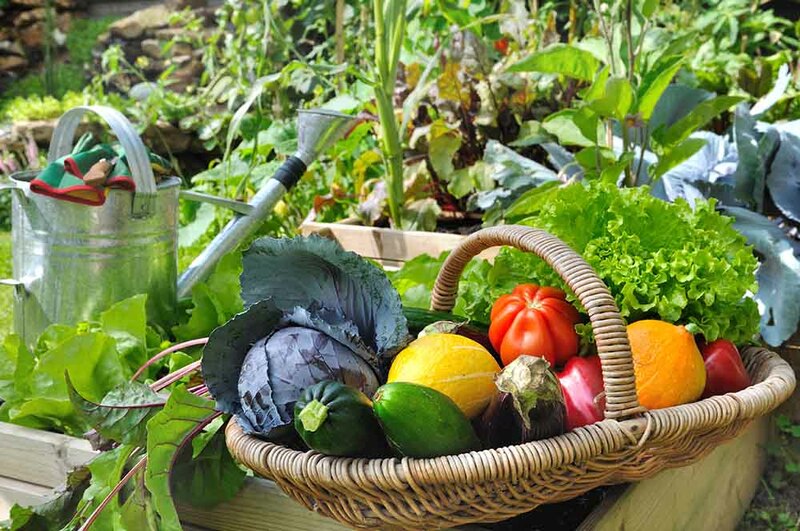 Building a veggie garden is simple; find a place outside that gets a minimum of 5-6 hours of sunlight a day. Your garden does not have to be huge; you can keep it as big a small as you please. Make sure your soil is high in organic matter or well fertilised, plant all your seeds with enough room between each, depending on what type of veggie you are planting will determine how much room they need. Remember to water, weed and harvest your veggies when ready. Don’t worry if your first go isn’t a hit; the more you grow the better you get and this will also give you the opportunity to better know your space and microclimate which is an important factor when selecting your seeds and seedlings. While there is such a large portion of different types of vegetables to grow there are a few that stand out and taste great. You want to think of the quantity of veggies you will produce. Pick plants that grow mass amounts so you can always be picking and cooking, as our babies always need to eat. If you choose a plant that only grows one item every few weeks, like broccoli, this will not be much use to you. Stick to plants like tomato bushes and sweet potato that grow mass amounts. Growing lots of green produce is a must for your baby patch and what better way to start it off than with zucchini. Zucchini is full of potassium, great for the heart, and strengthens bones and teeth. Zucchini is great because with its light flavour you can add it into most meals to bulk it up and your bubba won’t even notice it. Another great vegetable to grow is peas, which are great for kids as they are easy to mash up and are full of antioxidants, minerals and vitamins. These vegetables are also really simple and don’t take a rocket scientist to grow. Another superfood to add to the list is baby spinach, which is full of iron, vitamin C and fibre. Baby spinach is great to add to meals and even juices and smoothies for the little ones. The best thing about babies is you can teach them to enjoy their vegetables from a young age. A great way if implementing different food groups is by adding a variety of colours to capture their eyes. Let’s start with beetroot; not only does its rich colour entice children but the health benefits are significant. Beet is full of fibre, vitamin C and is a rich source of folate and manganese. Another veggie you cannot go past is sweet potato; this is one of the most popular meals among children and you can spread it far. This veggie is also a winner as it tastes great on its own without adding any extra sugars. Full of vitamins, fibre and inflammation properties. This sweet little plant will be a winner in your garden. For the young family with babies and toddlers lets not skip some crunchy snacks for them that can be fed to both ages. Firstly you cannot pass on carrots; these bright sweet snacks are great cut up for the children with teeth and great pureed for the babies in the house. Full of vitamins, iron and potassium this delicious veggie is great raw or cooked. Another superfood we cannot forget is the tomato. These beautiful rich and delicious little balls of heaven are a must for the children. For the sweet-loving babies, a strawberry bush will be your best friend. Great whole, cut up or pureed, strawberries are an easy on-the-go snack for your baby. Full of vitamins, strawberries and known for their infection fighting properties, and of course taste delicious. All these veggies are excellent for purees for the baby and excellent as a mash when they are a little bigger. While the initial expense of creating a baby food garden can cost more than a few packets of baby food, the health benefits and long term results speak for themselves. You have fresh produce at your fingertips which is easily stored in the fridge or freezer. When feeding your family fresh and clean meals all year round, you will wonder why you ever bought packets to begin with. beyondsunflowers.com.au is an online plant emporium that aims to green up the great indoors. Gisele began her business to show that you can create a beautiful space filled with greenery without being a natural green thumb. Beyond Sunflowers will soon offer workshops and one-on-one learning, along with a potting shed for hobby gardeners.